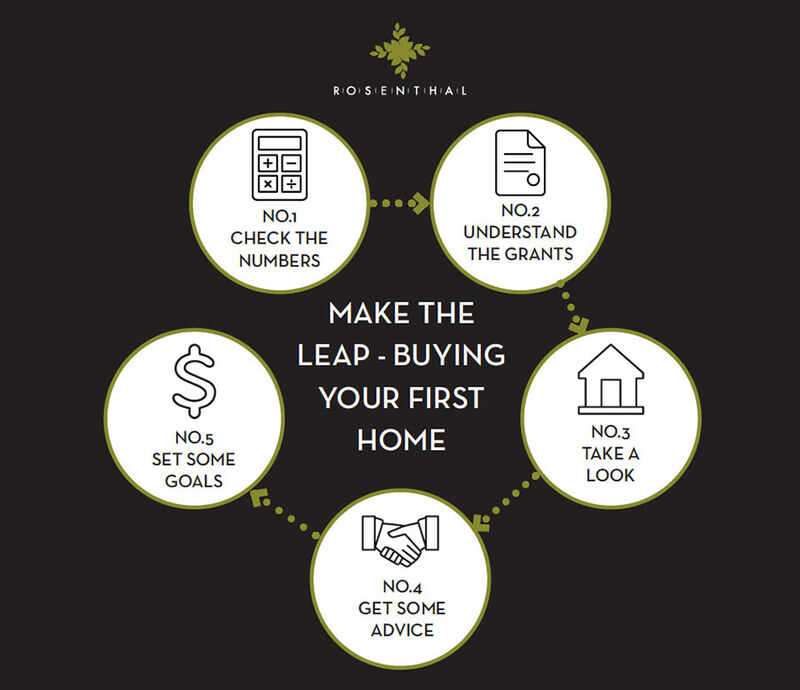 Making the leap into your first home this year? Take a breath and get the process started with these smart ideas. Living with parents, stuck in the endless rent trap or tired of dealing with housemates, the time is right in 2018 to take the first steps to becoming a homeowner. But where to start? Take a breath and check these ideas to make the leap less daunting. A good place to start is by reviewing your finances to understand whether now is the right time, or if you need to take a step back and make some savings plans. Have a look at your liabilities (the fixed payments you need to make regularly, such as a car loan), your income and any other major expenses. Online calculators can be a good gauge to check how much you could borrow and whether you could manage the repayments, but beware, these tools should be a guide only as they are general and don't consider individual situations. Engaging a a broker or seeing a bank/financial institution will also assist with this important step. To help first home buyers make the leap, in Victoria there is the First Home Owner's Grant (FHOG) as well as an exemption from stamp duty. There are a few conditions that must be adhered to, such as the maximum purchase price and ensuring you live in the property for a period of time, to check your eligibility, visit the State Revenue Office website for details. To check how this grant can be used towards your purchase speak to your finance specialist. To help you get into the buying mode, and to add further motivation to your plans, you can't beat experiencing the new home feeling with a tour of builders' display homes. Exploring the different home sizes and ranges will give you an idea of what budget you should set, with many builders having offers specifically for first home buyers, complete with fixed costs, ready-to-move-in inclusions and information guides to get you started. At first, taking that initial step can seem a bit daunting, but rest assured there is a lot of information available. Most banks and lenders have products tailored to suit the needs of first time buyers, and have a lot of experience with guidance along the journey. Builders and land agents are a great source of information, with a lot of information published through their websites. When you are looking to get into your first home, chances are so are many of your friends, so don't forget to check in with your friends and share ideas. Just like any milestone decision in life, like buying a car or starting a family, it's a smart idea to set some clear and realistic goals. Perhaps this year is focused on saving, so you can make the leap next year, or maybe your budget needs to be your focus. Importantly, tailored plans and goals to suit your needs will make it easier to make that leap with confidence.